Beaufille founders Chloé and Parris Gordon show how well their design signatures translate to eveningwear with this beautiful maxi dress. 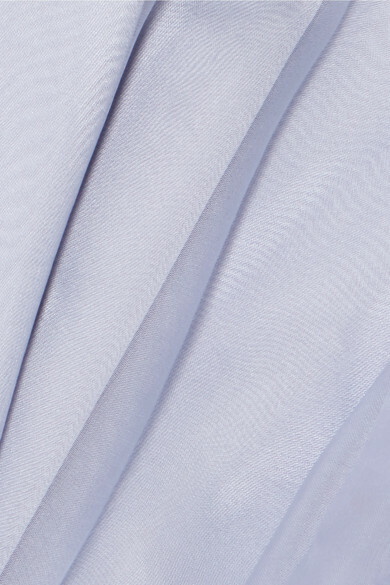 It is cut from diaphanous silk-organza in 'Periwinkle' that's so light and airy it floats loosely away from the body. Though it's hard to choose one thing that sets it apart, the generous balloon sleeves are definitely the stand-out feature and should be kept center stage. Shown here with: REJINA PYO Bucket bag, Ellery Sandals.